A medieval looking appearance and today's technology come together as one to give you the SOG Fusion Battle Ax model F02T. This ancient looking tool is perfectly balanced to get the most from every chop. The pike on the back is upswept to increase your chances of penetration when throwing at a target. The handle is nice and comfortable thanks to the heavy duty Pakka wood construction. 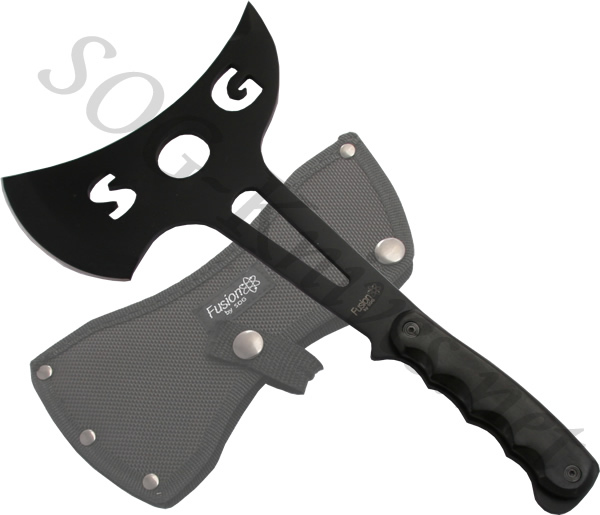 This SOG Battle Ax comes with a heavy duty sheath for safe storage. 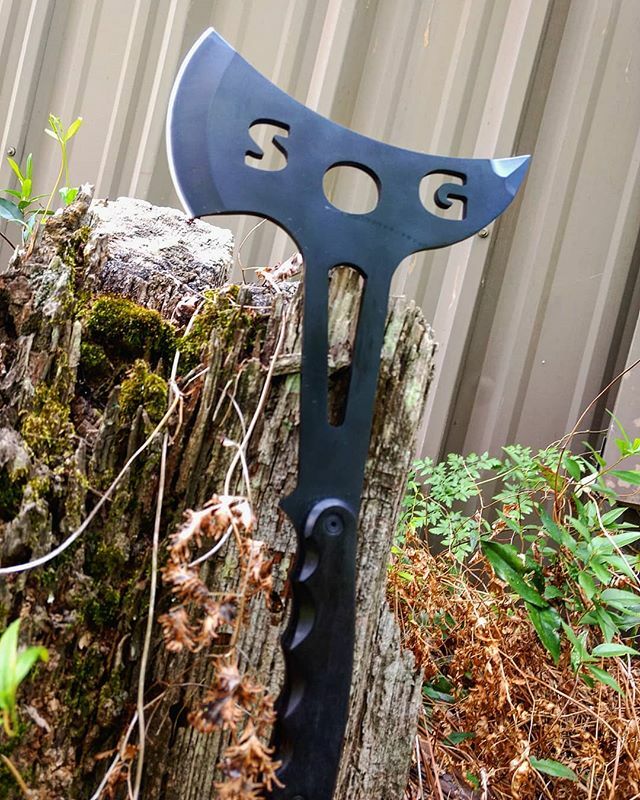 Own a SOG Battle Ax F02T? Tell us how you like it! Got a question? Ask! Somebody will answer!